Trawler Forum > Trawler Forum > Voyagers and other Boaters on the Go! I really like Essex, staying at The Griswold hotel. On our way to Portland to hang out on the boat for a month... Or so. We too have come to like Essex a lot and found Marley's a few weeks ago. This spring as part of our retirement transition north, we moved our boat to a mooring at Brewer Marina in Essex. We just got home from an overnight at Hamburg Cove which is a pretty place to hang out for a night, but a bit crowded on weekends. Enjoy Essex, Marley's and the Gris. I think Mark is TF's version of the Truman Show. How that relates to Essex CT is beyond beyond me, that's for sure. Anyway we love Essex too, but Hamburg Cove across the way in particular. Always stopped there for a few days. Took the Whaler over to Essex a few times, but usually just chilled out, on the east side of the CT river. "There's the Right Way, the Wrong Way, and what some guy says he's gotten away with"
I think Mark is TF's version of the Truman Show. Just had dinner at the Black Seal in Essex, casual dining but good food. David, I can certainly understand why you ended up at Brewers sorry we missed you. We will be coming to Essex again and hopefully get to meet up. Mark, your in my home area, born in Berkley and grew up in the Bay Area. Been gone for many years but very fond memories of the whole area. George, I can't wait to get the boat down this way and explore. Must get familiar wth the boat up in Portland first. During the mid '60s, my father would sail to Sam's from Richmond to Tiburon on his 28-foot sloop. 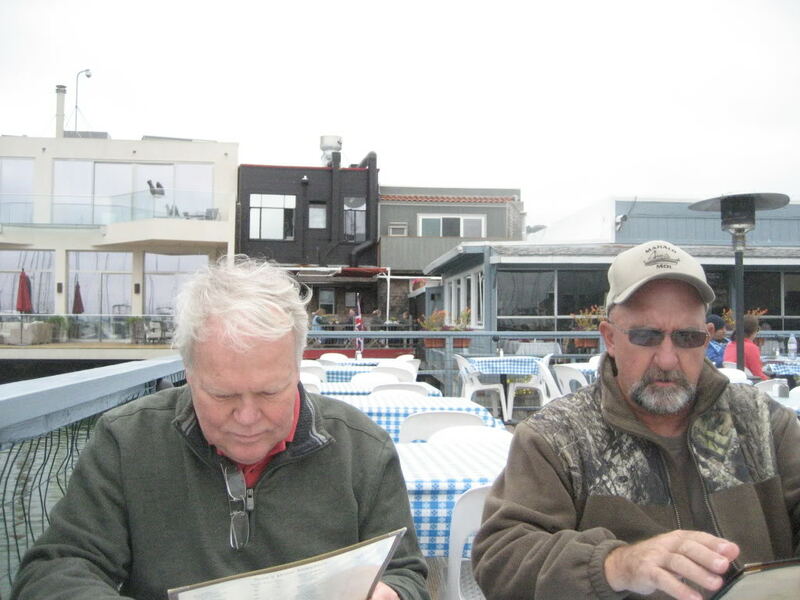 He always ordered an abalone sandwich (no longer on the menu), and I a hamburger. DeFever 48 Trawler, 1982 CTF built.